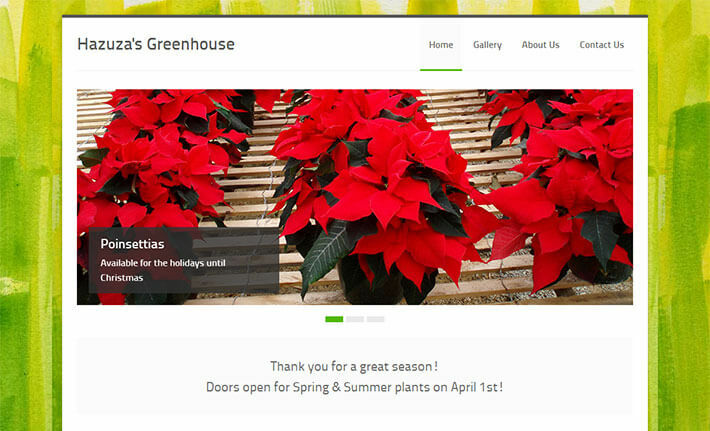 Greg, his fiance Cindy, and Greg’s sister Sharon wanted to surprise their parents with a website for their store – Hazuza’s Greenhouse in Rillton, PA. They wanted something simple that would help people find the business and showcase their flowers, plants, and vegetables. With only a few weeks before Christmas we managed to get 90% of the site completed before the grand reveal. As they take more pictures we will keep their site updated and help them manage their Facebook page too.